Many states have their own unique laws for the color and types of warning lights permitted on emergency vehicles performing their duties. There are also specific regulations for any vehicles which may impede traffic or become a hazard to road safety. 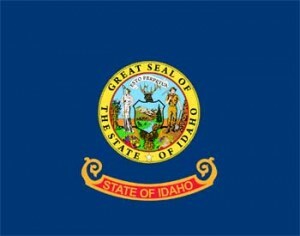 The following are general emergency light law requirements for the state of Idaho. Police vehicles are required to use blue flashing lights, lenses or globes Idaho’s state statute 49-910A(1). No other vehicles are allowed to use the blue color. These flashing blue lights should be top-mounted and visible for 360 degrees at a distance of 1,000 feet in normal weather. Blue lights are required on both state and local law enforcement vehicles. After a resent re-stock, many Idaho police cars are equipped with both red and blue flashing police lights. Blue lights have been scientifically proven to be the easiest to see. Red lights generally signal an immediate emergency. Yellow lights are sometimes used to warn vehicles that police cars are slowing down or parking on the roadside. Both paid and volunteer emergency firefighting equipment such as trucks and emergency rescue vehicles must use red warning lights under the same state statute 49-910A(1). These fire lights must be visible from the front of the vehicle. They may be flashing lights, lenses or globes. Included in this category are sheriff search and rescue vehicles. Ambulances and other EMS personnel which are certified and recognized by Idaho's department of health and welfare should use red warning lights while performing emergency medical services. Again, red warning lights must be visible from the front of the vehicle. These vehicles may include other medical emergency vehicles, such as those transporting transplant organs or certified personnel. Even though tow trucks and wreckers are not classified as emergency vehicles in the state of Idaho, they do represent a possible hazard to other traffic. These types of vehicles require unusual care on the part of other vehicles that are approaching or passing by, especially as responders may be moving on and off the roadway in the performance of their duties, and are governed by Idaho state statute 49-910A(3). Because of the extra caution they require, they are allowed to display forward-facing, flashing amber lights. Many large wreckers also have rear amber to white warning lights to make them more visible in all road conditions, and workers often wear reflective clothing in order to be more visible at night or in inclement weather. Construction and utility vehicles fall into the same category as wreckers and tow trucks. These vehicles generally use flashing lights to indicate work on the road itself, traffic signals, or utility and power lines situated in proximity to or under the streets. Forward facing and often rear flashing lights are used in order to make them more visible to on-coming traffic. These lights generally from white to amber or yellow. Approaching traffic should slow down to avoid any obstacles created or workers moving on and off the road. Over-sized loads require a special permit. Pilot cars in Idaho must be passenger cars or trucks which are not carrying a load. Pilot vehicles must have a roof-top sign stating 'OVERSIZE LOAD' in letters 12 inches high. These vehicles may not display either signs or lights unless they are actually in the act of piloting an oversize vehicle. Lights should be amber in color, mounted on each end of the oversize load sign and be visible for at least 500 feet. As an alternative, a pilot vehicle may use just one rotating, flashing beacon mounted above the vehicle roof and visible from front and rear for 500 feet. Oversize vehicles must stay on the far right of the road. Some time restrictions may apply depending on the size of the road and other regular traffic factors and visibility. In order to be delineated from regular passenger vehicles, many security vehicles have a top-mounted flashing light. These light vary in color from amber to white to even occasionally green. The lights on security vehicles warn other motorists of the presence of a slower vehicle which may make frequent stops. For a period of time, security cars at ISU in Pocatello were permitted to use red flashing lights. This privilege was rescinded, however, when security personnel began to exceed their authority in issuing citations on city streets. Security vehicles may not operate outside their assigned jurisdiction or act as regular law enforcement. Emergency vehicle lights are a very important part of our personal safety and awareness when traveling in both rural and urban settings. Those flashing orbs or bars warn us of possible dangerous situations ahead for ourselves and others. It is both stated law and the responsibility of every citizen to heed these warnings. It is also advisable to be aware of any restrictions or limits regarding the mounting of any lights on regular personal-use vehicles. 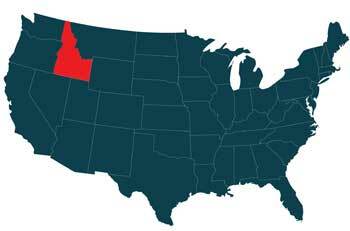 Most states, Idaho included, allow for the use of personal flashing red lights for certified, licensed physicians or other emergency responders to various types of disasters. Always stop or move out of the path of emergency responders to the best of your ability. One day it could be your or your loved ones waiting for the quickest response from these dedicated service personnel.